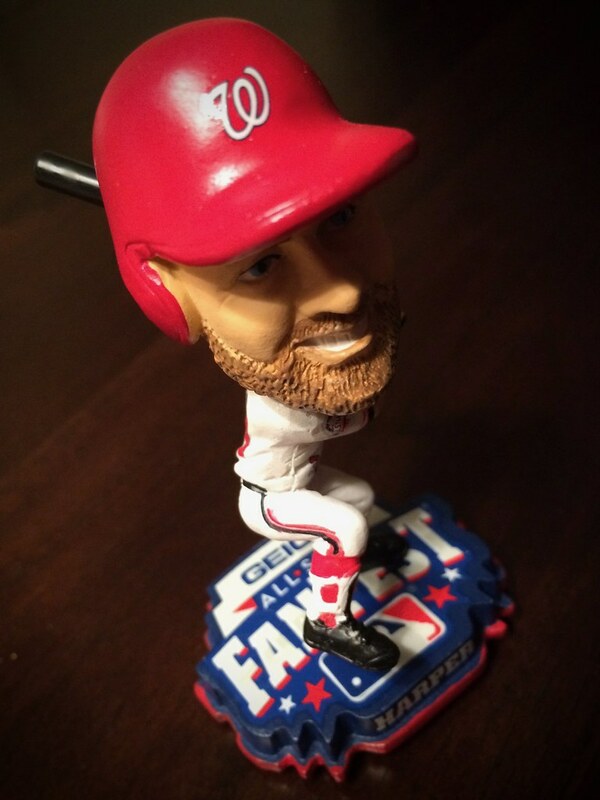 I got there for 9am so that I could grab the Bryce Harper bobblehead given to the first 3,000 fans. My friend Ralph was running late, so I asked the guy if I could grab one for him while they were still available, and he begrudgingly gave me another. The next thing I had to do was get in line to use a kiosk to reserve a spot at one of the many autograph sessions scheduled for the day. Perfect opportunity for a Chevy girl holding a tablet to insist that I take a quick survey for a $25 restaurant.com gift certificate. These stupid surveys always take longer then they say they will, so people inevitably rush through the last few questions and screw up their data. Do they know this? The system would only allow me to reserve a spot at a single autograph session. 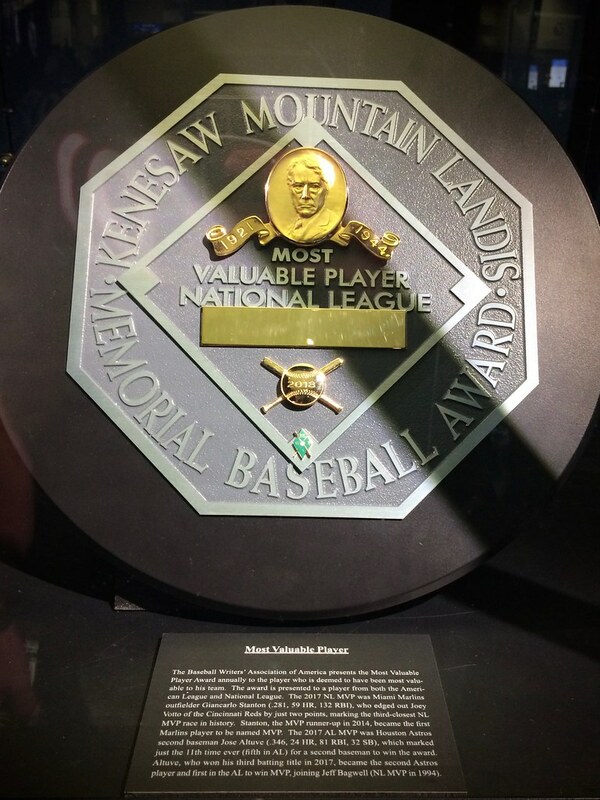 Sessions for the two most popular Hall of Famers, Rollie Fingers and Fergie Jenkins, were already full, so I reserved a spot with the last remaining recognizable player, Maury Wills. I knew he was a base-stealing shortstop with the Dodgers in the 60’s, but I didn’t know much more than that. I’m glad I was able to get Wills, because after that, things dropped off quickly, with Lenny Harris, John Lannan, John Patterson, or one of many other mediocre middle relievers who once pitched for the Nationals filling out the remaining sessions. My first stop was to get something for Maury Wills to sign at the autograph session. I thought about getting a ball, but I thought it might be cooler to get a sweet-looking card that I could display in a case. 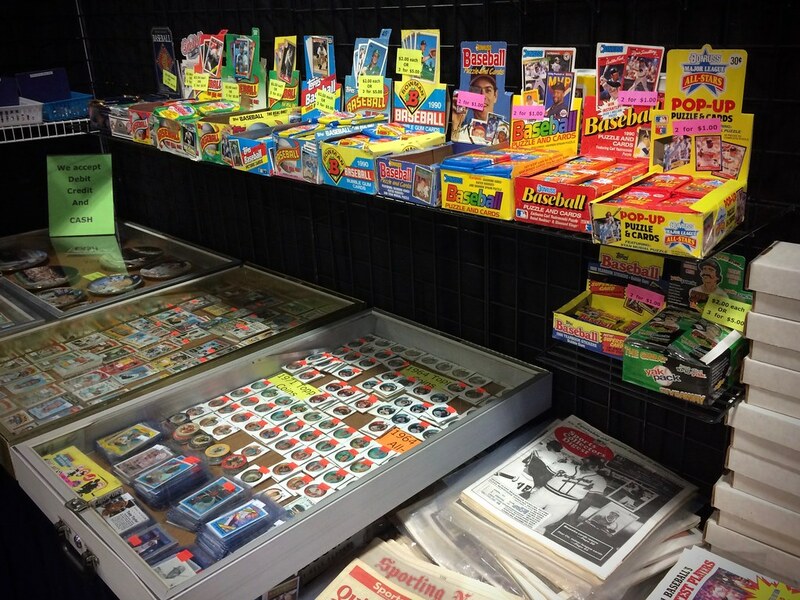 The guy had three: two recent commemorative cards and one 1969 Topps card in pretty good condition. I decided to go for the old one. 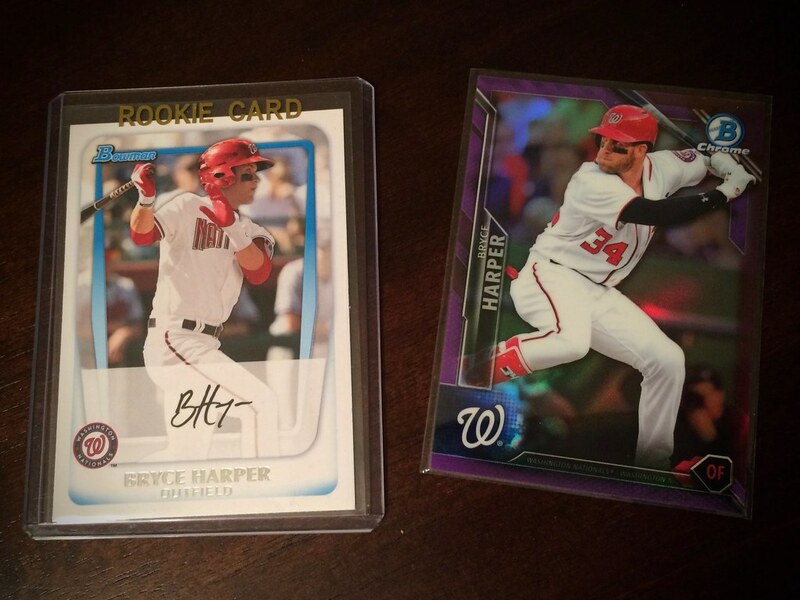 I also picked up a few sweet Bryce Harper cards as well and a few cool-looking retro cards later in the day. 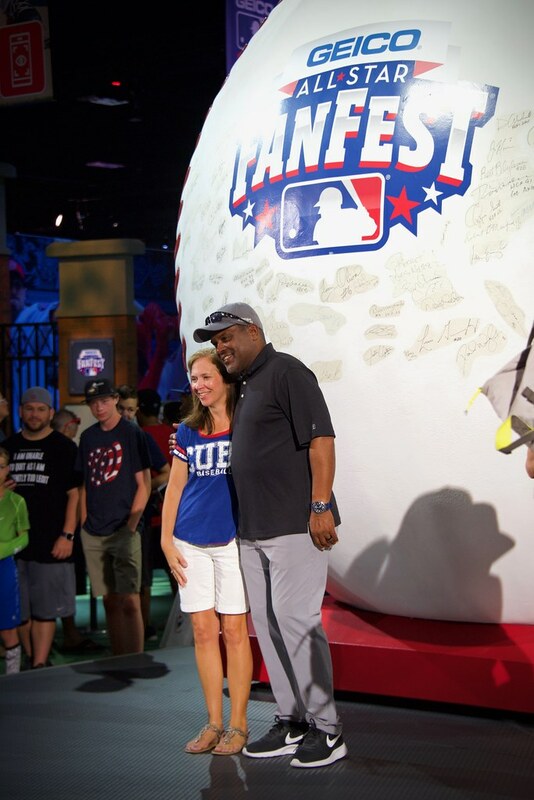 As we walked around, we spotted a few former players: Jennie Finch greeting kids at a throwing cage, players from the All-American Girls Professional Baseball League, the aforementioned Lenny Harris signing autographs, and Tim Raines and a lumpy, sweaty Dave Winfield posing with fans by the world’s largest baseball. Personally, I don’t think that any sphere painted white with painted red stitches qualifies as a baseball. It’s gotta be made from the real materials, right? 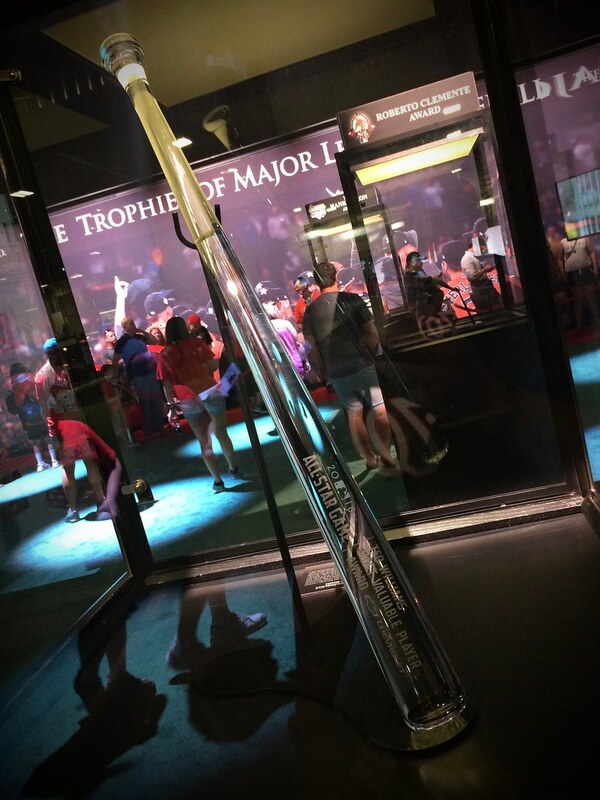 And then a quick stroll through the awards exhibit. One thing I noticed right away was the difference in demeanor between the volunteer baseball fans working the event and the permanent staff and security working the convention center. The volunteers were all happy and friendly, but the permanent staff and security were all miserable fucks. One lady yelled at me when she thought I was exiting the building, for some reason I couldn’t figure out. Another lady with a security uniform yelled at me aggressively when I tried to go down an escalator that I should not have tried to use. It’s almost like they are presuming that attendees are trying to get away with something, and all day long, they’re looking for any excuse to raise their voices and exert their authority. In any case, better signage would cut down on a lot of the yelling. My fantasy league friend Jon was working the event. 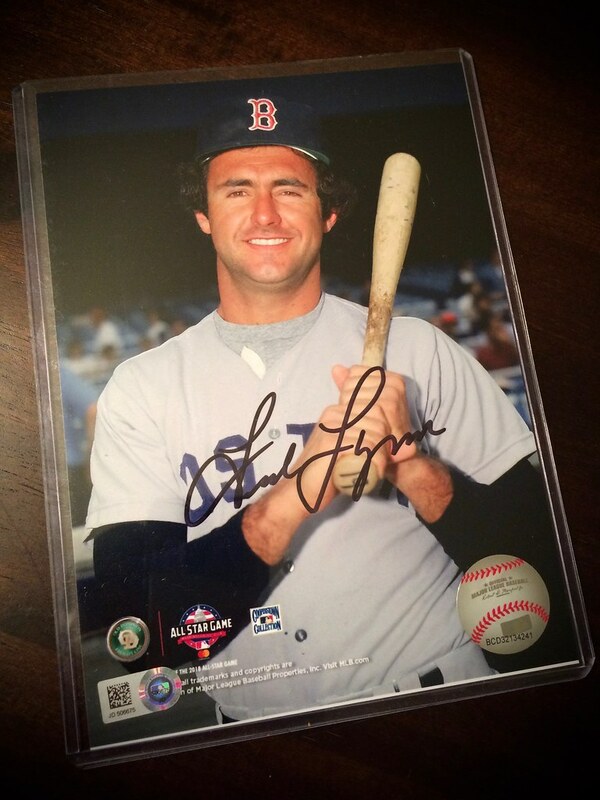 He happened to have an extra ticket for a Fred Lynn autographed print and gave it to me. At the specified time, I got in line. Each person had a moment with Lynn to say hello, shake hands, and pose for a quick picture. Lynn was very smily and friendly with everyone. 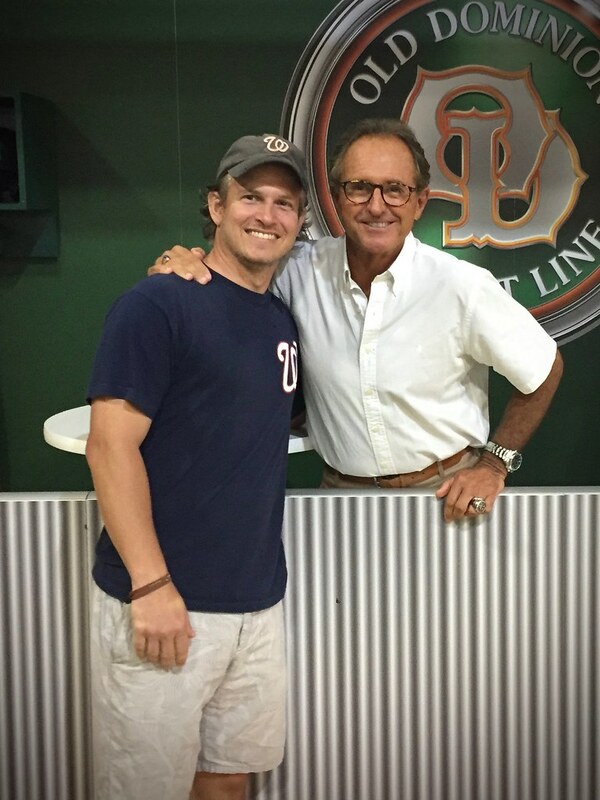 When I got to him, I told him that he was the centerfielder on my Strat-O-Matic team and that he was having a great year for me. He chuckled and said, “That’s great!” He smiled for a quick photo and I was on my way. Seems like a great guy. 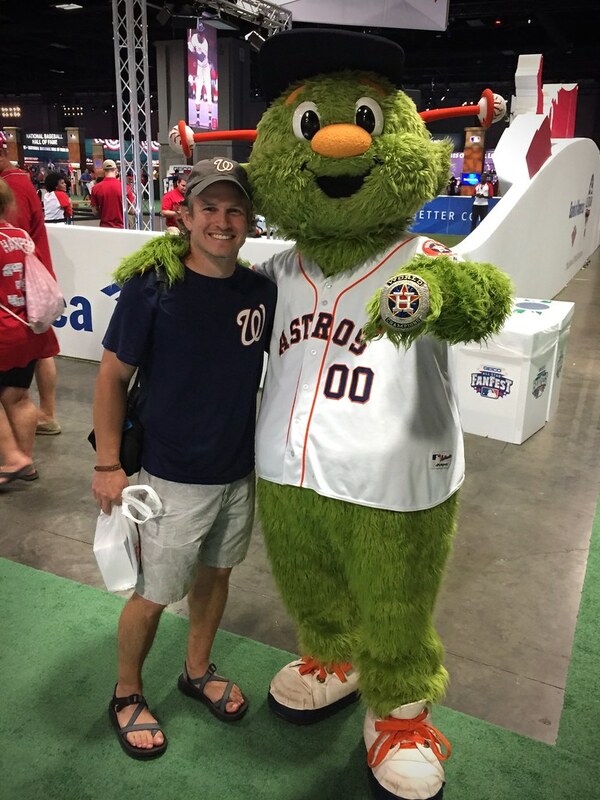 Then I ran into Orbit, the Houston Astros mascot. He gave me a little whistle and hug when I told him I grew up in Houston. Eating a heavy lunch of Jamaican jerk chicken and rice, Ralph and I argued about how long it would take us as grown adults to circle the bases on the miniature field in front of us where little kids were playing around with plastic balls and bats. I told Ralph that he couldn’t get around in less than 8 seconds, but he disagreed. Chevrolet had a giant exhibit, including a fun reaction game where you had to stand in front of a wall of buttons and smack them when the lit up, kind of like whack-a-mole. Television screens displayed the leaderboard, and you needed to his 72 buttons in 60 seconds to crack the top 10. Ralph and I were pretty confident. While waiting in line, a slightly pudgy kid named M. Palacios used some sort of superhuman ability to hit 94 buttons in 60 seconds, smashing the record for the day. The Chevrolet girl working the line said that he had been there every day of FanFest. I offered to take a pic of M. Palacios while he stood next to his name on the leaderboard and then told him I was going to destroy him. Ralph and I both got 62 in 60 seconds. Disappointing. Craving a bit more childish physical activity, Ralph and I got in line for home run derby. The wait was long, giving me and Ralph a long time to fantasize about how far we were going to hit the squishy, machine-fed balls and try to psych each other out. Inside the cage, they had some Trackman devices set up with a screen that (inaccurately) tracked where on the field your ball would go and how many feet it traveled. We got 6 pitches each. My first pitch was a major whiff. Next 5 were crappy grounders to the left side. Ralph went in after me and cranked a few line drives. Ralph won. Jon also had a ticket for a John Smoltz autographed print, and he asked me to pick it up for him. 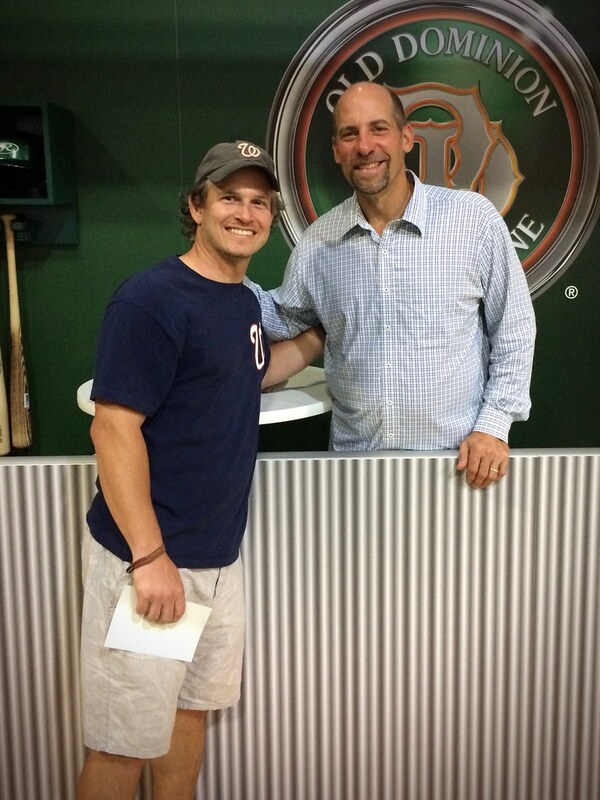 Smoltz cranked through people quickly, not saying anything to most of them and doing his best to muster a fake smile for each photo. 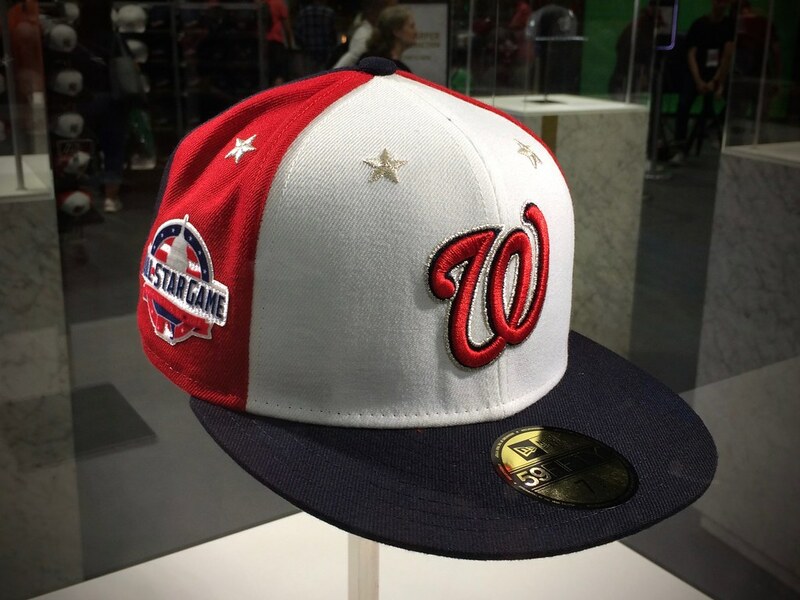 While perusing the MLB merchandise store, I saw volunteers hastily setting up a table in a section of All-Star clothing designed by Alyssa Milano. 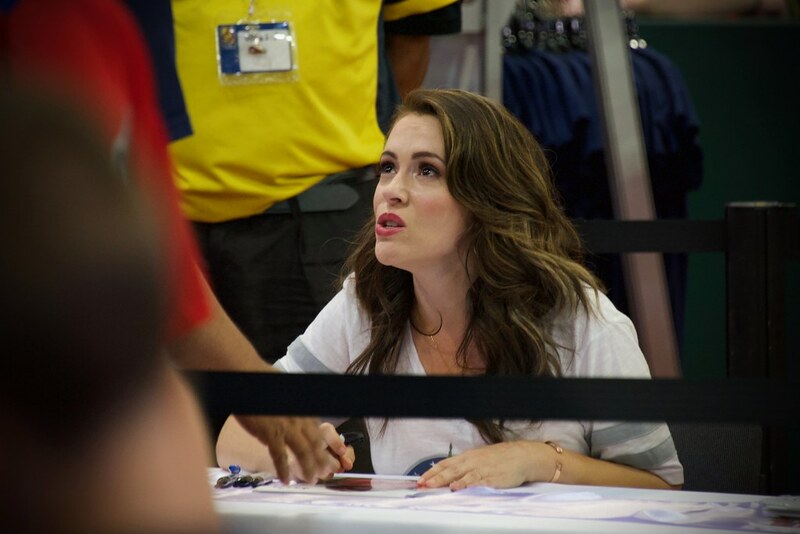 When I learned that Alyssa Milano was there to sign autographs, I quickly got into the front of the line. I was excited to meet the girl everyone had a crush on when I was a kid. While waiting, a volunteer went up and down the line and explicitly told everyone that a) we were not allowed to take any pictures, and b) she would sign anything you gave her except anything from “Charmed”, a TV show from 1998-2006 that she starred in. Interesting. Finally, Milano came out with her small posse, including someone who seemed to be her husband and their daughter. Husband was holding the daughter, who was crying that she wanted to go home. While this was happening, the husband looked over and locked eyes with me for a moment. Weird. When it was my turn, she greeted me with a handshake. She looked down to grab her 8×10 and started to sign. “Are you enjoying the FanFest?” she asked. “Yes I am,” I replied boringly. “What cool stuff have you seen?” she asked. This was obviously a script for her. I sensed that I only had a few seconds left, so I took control. “I’ve seen a lot of cool stuff, but I just have to tell you… I grew up watching ‘Who’s the Boss?’ So I have to thank you for that. She said nothing. I walked away with my signed 8×10. To make things even creepier, I hung around and went slinking through the clothing racks to try to get a picture. One of the guys spotted me with the camera and busted me. He semi-aggressively told me I had to stop taking pictures immediately. 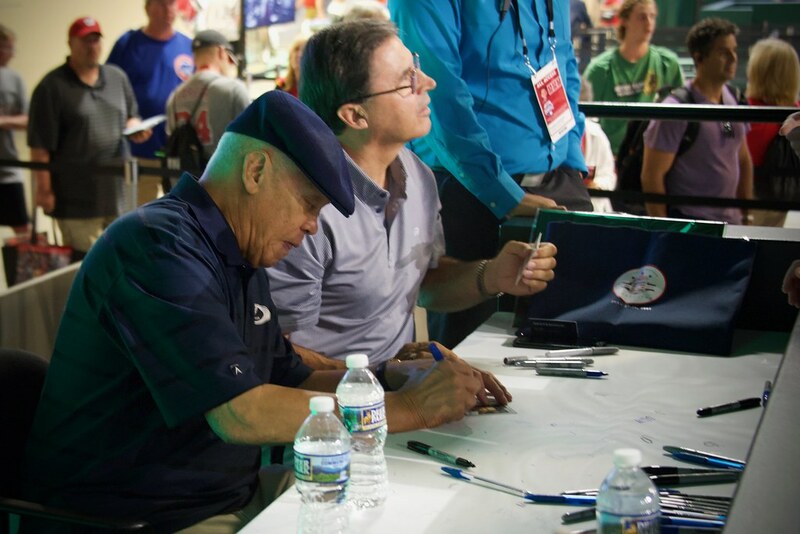 I got into the very long line for Maury Wills’ autograph. I had a friendly chat with some of the other fans waiting with me. The guy behind me looked just like Sandy Koufax but was from South Carolina and had a sweet accent. 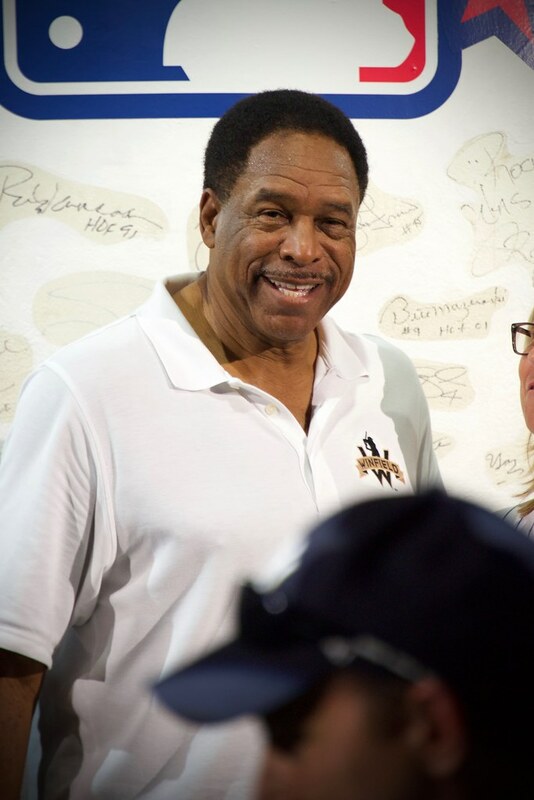 He had a bag full of memorabilia and a binder filled with handwritten notes about where he had to go and when in order to get all of his autographs. 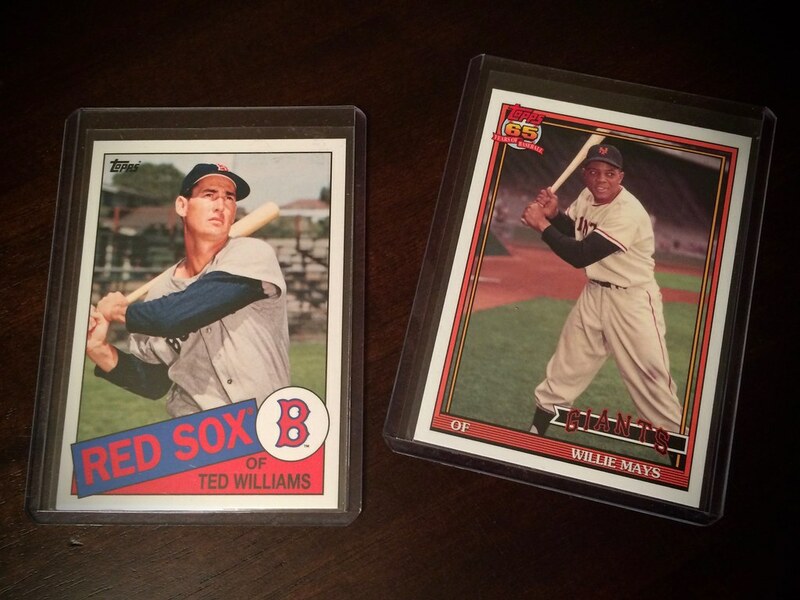 I looked at my baseball card and discovered that it was a picture of him in a Pirates uniform and that the team printed on the front said “Expos”. Cool! Turns out he played half a season in Montreal in 1969 and didn’t do very well. I wanted to ask him for his thoughts about Montreal. When I finally got to Wills, I saw that he was an old man (85 years old) and was getting some help from volunteers signing and communicating with fans. 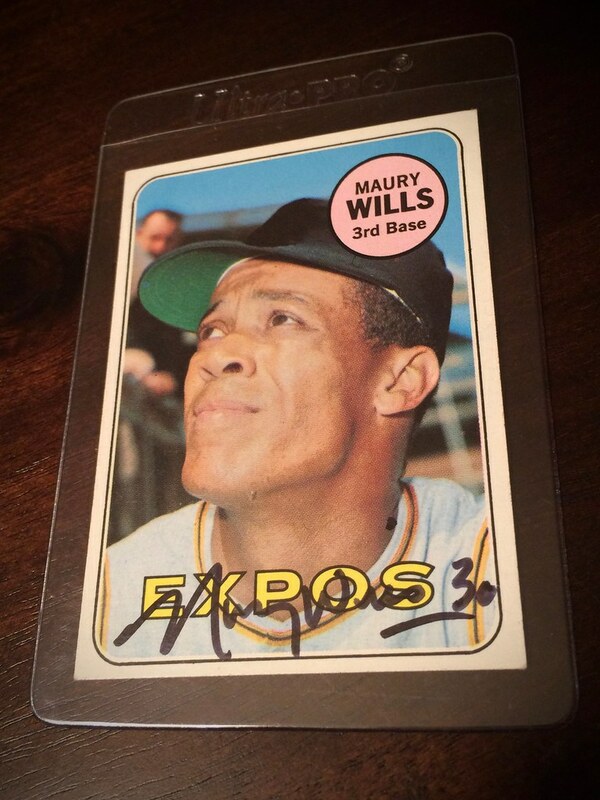 “Nice to meet you, too,” he replied as he took my card and sloppily signed right over the team name. “I didn’t!” he snapped back in his gravelly voice. I walked away. Then he mumbled something about not playing very well there. Before leaving the stage, another volunteer stuck a little MLB authentication hologram to the back of the autographed card. 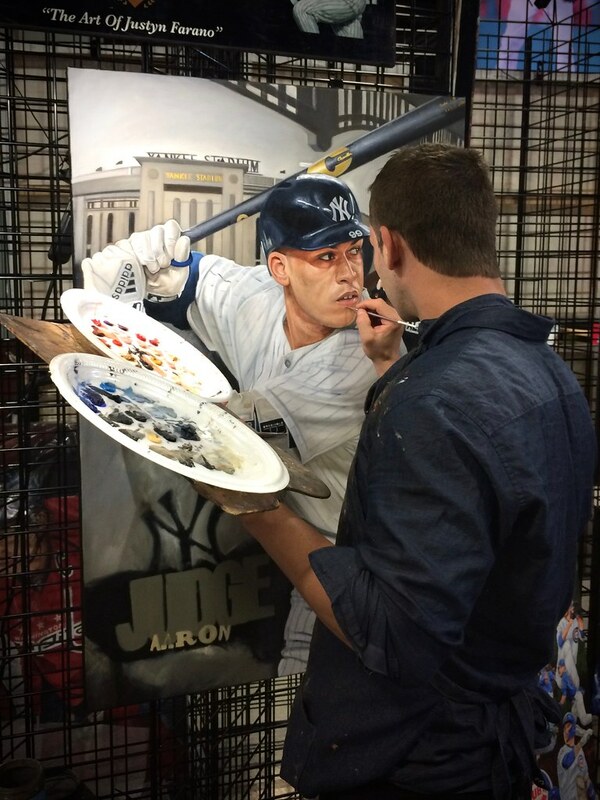 Kind of cool. 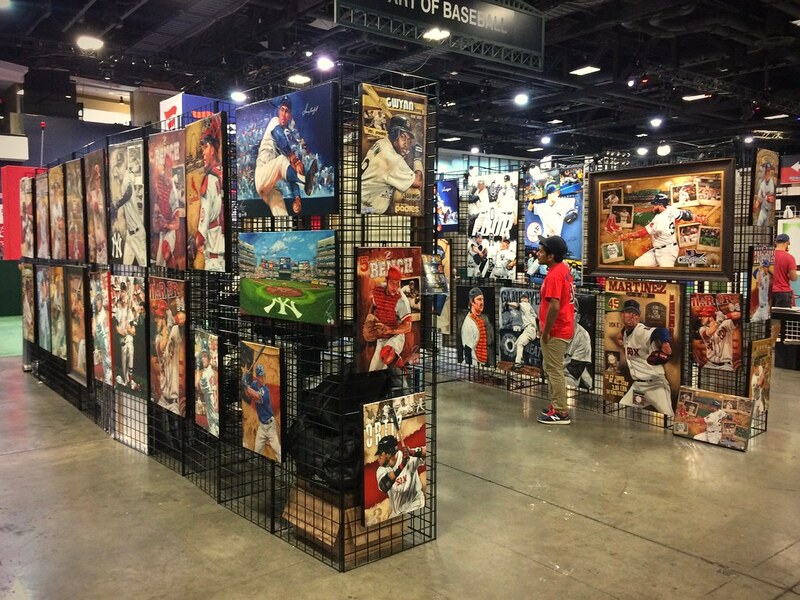 I walked around FanFest a bit more, visiting baseball card and memorabilia stands, an impressive gallery of paintings by Justyn Farano, and a table with really old baseball mitts piled up. 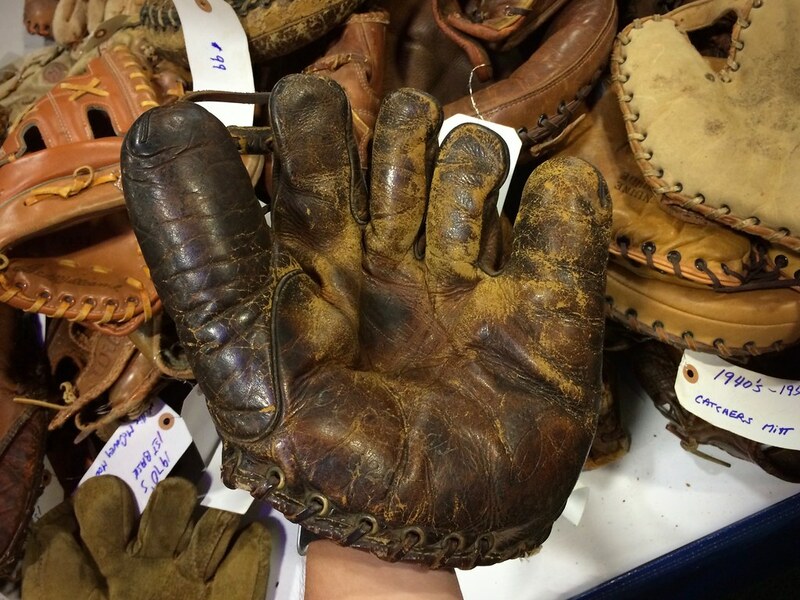 I tried on an infielder’s mitt from the 1940’s. Unbelievable how they played with these things. Having spent 9 hours walking around and waiting in lines, I was pooped and my parking session was expiring, so I called it a day. And it was a good day.